Mesenchymal stromal cells (MSCs) are a population of adult stem cells that modulate functional state of neighboring tissues. During cell aging, the biological activity of MSC changes, which may affect tissue homeostasis. It is known that reducing the oxygen level in vitro to physiological values typical to a particular cell niche leads to attenuation of some morphological and functional changes associated with aging. This work aimed to study gene expression in MSCs involved in response to physiological hypoxia using a replicative aging model under physiological (5%) and atmospheric (20%) oxygen in cultures. Our results show that significant reduction of proliferative activity of MSCs is observed after 20 passages (~50 cell generations). Regardless of the oxygen, in senescent cells PKM2, SERPINE1, and VEGFA were upregulated while ANKRD37, DDIT4, HIF1A, and TXNIP were downregulated. Also, ADORA2B, BNIPL, CCNG2, EGLN1, MAP3K1, MXI1, and P4HA1 were downregulated under hypoxia. The effect of oxygen was more pronounced at earlier passages both on the cellular and transcription levels. Irrespective of the passage, genes ANGPTL4, GYS1, PKM2, SERPINE1, and TP53 were downregulated under hypoxia. Also, decreased expression was observed for ADM, F10, HMOX1, P4HB, PFKL, SLC16A3 in earlier passages, and for HK2 – in later passages. Upregulation was only observed for ANKRD37, both at early and late cultures. Russian Text © A. Yu. Ratushnyy, Yu. 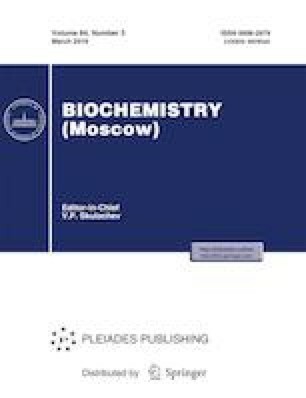 V. Rudimova, L. B. Buravkova, 2019, published in Biokhimiya, 2019, Vol. 84, No. 3, pp. 380–391.